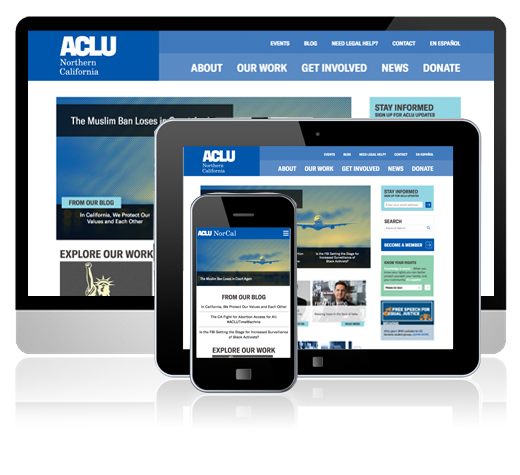 As the largest ACLU affiliate in the country, the ACLU of Northern California works to preserve and guarantee the protections of the Constitution’s Bill of Rights. 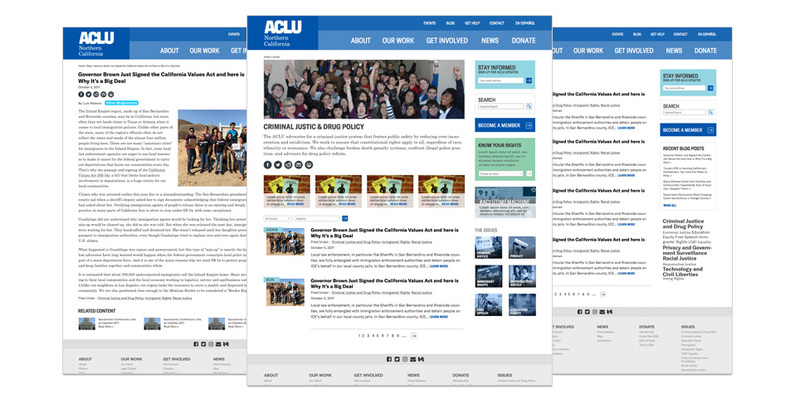 Back in 2013, The ACLU of Northern California originally approached Rootid to help revitalize their brand, develop custom features that would optimize user experience (helping their users navigate through the site with ease and find content that is pertinent to them), and integration with their SalesForce database for event management, donations and petitions in a more streamline manner. 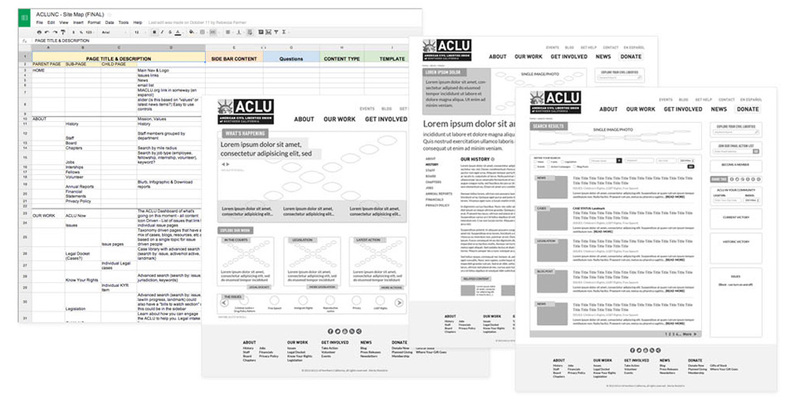 Rootid started the project work by interviewing a diverse group of organizational stakeholders to develop a brand that represented the historic importance of the ACLU, while bringing in a modern, 21st century approach. The result was a clean, updated design with the force of history behind it. 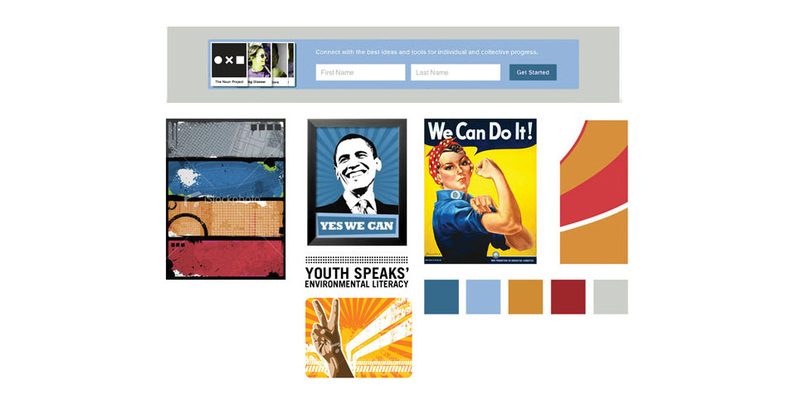 One of the challenges of the website was to bring relevant content to constituents that lived outside of the major metropolitan areas in Northern California. Rootid developed a custom solution to tag all content with locational data, so that users could find news, legislation, court cases and other information that effected them locally in their community simply by adding their zip code to the site’s internal search engine. 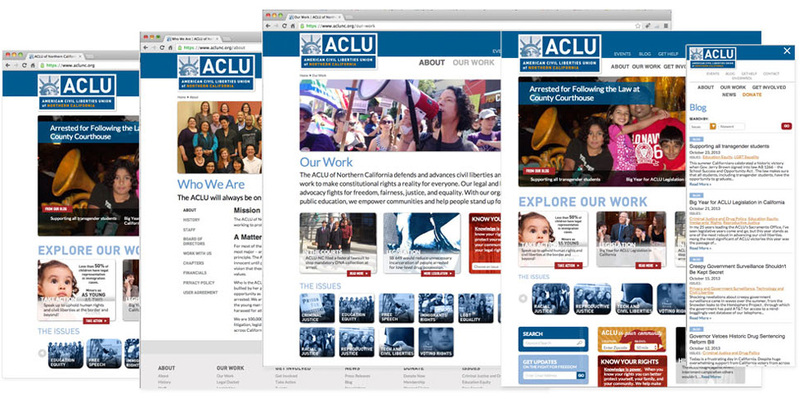 This website recieved a 2014 Award of Distinction from the 20th Annual Communicator Awards. Kudos to the Rootid team and thank you all so much for all of your work. Everyone loves the new website!